Looking for the perfect place to call home? 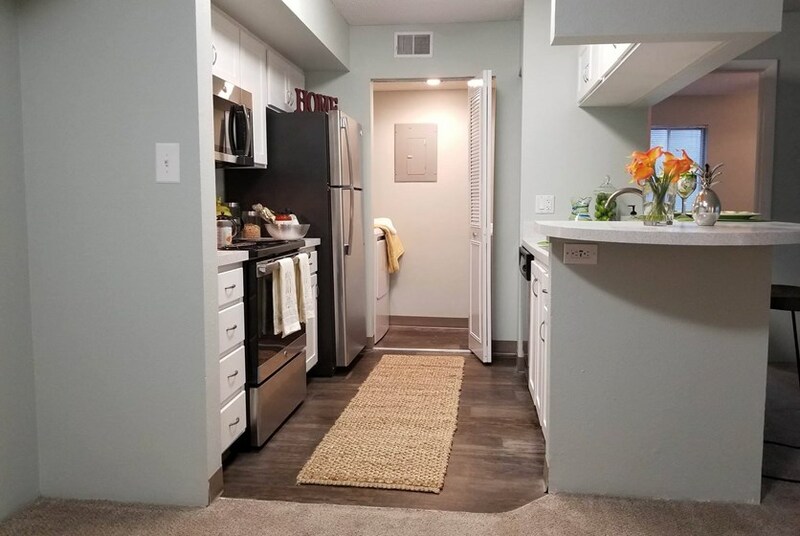 Savannah offers spacious 1- and 2-bedroom apartment homes nestled on 62nd Boulevard in a peaceful woodland setting surrounded by a scenic canopy of lush native landscaping. Savannah’s unique floor plan features allow residents to enjoy a nature view right from their living room through 3 paneled sliding glass doors opening to a private screened in lanai. This community’s location is highly sought after with multiple bus routes, just 3.5 miles from the new Butler Plaza shopping center and within walking distance to The Oaks Mall and the North Florida Regional Medical Center commuter lot. Schedule your tour today! The Savanah team is excited to meet you and welcome you to your new Gainesville home. Enjoy outdoor amenities including a resort style pool, screened-in shaded patio, sand volleyball, BBQ grill pavilion, and hot tub! Furry, four-legged pals are welcome here! Call the office for pet policy details. Get fit in the 24hr fitness center and treat yourself to a relaxing sauna session. Enjoy a nature view from your living room! All apartment homes include a screened in lanai. $25 Application Fee, , $100.00 Off First Full 30 Days of Rent OR current community special whichever is greater. We've sent your message off to Savannah Apartments. If you'd like to chat with the staff immediately, feel free to call them at (352) 329-3683. If you would like to chat with the Savannah Apartments staff before your tour, you can call them at (352) 329-3683. We're checking availability for you now! Someone from the leasing team will contact you shortly. Meanwhile, please feel free to call Savannah Apartments at (352) 329-3683.